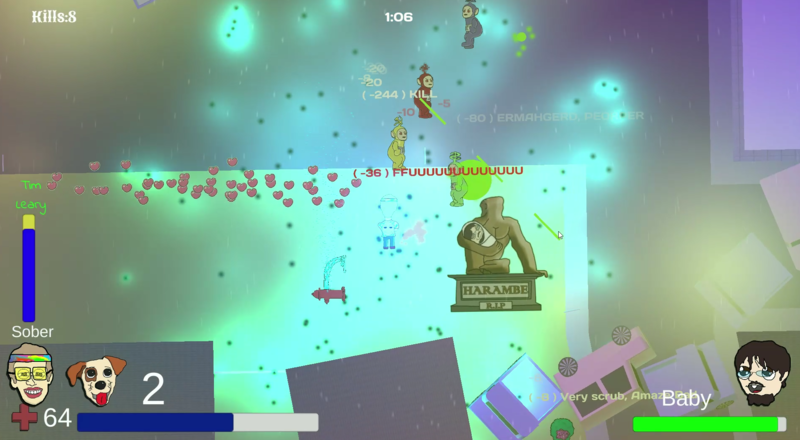 Zombmemes is a false top down hero shooter in an urban environment. Kill zombies, demons and other baddies in order to save the baby. All the while, the Illuminati plague the player with psychedelic mind control tactics.